We have a dependable/reliable DOT certified drug/alcohol consortium program that is very competitively priced. The consortium will be tested at the 2017 FMCSA rate of 25% for drugs and 10% for alcohol. We are your intermediary with the TeamCME random testing consortium. We will do all of the contact/service work directly with you and would enjoy being your office for all of those needs. Our office strictly adheres to the required components of DOT standards in all of our testing, which means you can rest assured that your program will pass a DOT audit anytime. For companies that are not federally required to have random testing, we have a Non-DOT randomized testing consortium program to fit your needs. Looking for DOT Drug and Alcohol Testing in Savannah, Georgia? You’ve come to the right place! Dr. Robert Kalensky is National Registry Certified Medical Examiner to perform CDL/DOT Physical exams. 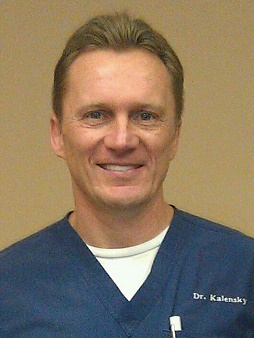 He graduated from the University of Georgia with a Bachelor of Science degree in 1989 and completed his doctorate of chiropractic degree in 1993 from Life University in Marietta, Ga. Dr. Kalensky brings 20 years of experience and a variety of techniques to meet the varying needs of his diversified patient base. Dr. Robert Kalensky's practice has a strong scientific foundation with a focus on evidence-based treatments, rehabilitation and prevention. Dr. Kalensky is Titleist Certified and able to assist you in maintaining a healthy body position to play your best game possible. Dr. Robert Kalensky is a TeamCME physician. Dr. Kalensky reminds his clients that "Your health is EVERYTHING! We may purchase several cars throughout our lifetime, yet we only have one body to ride through this life in; allow me to make this ride a long, smooth and pleasant one".